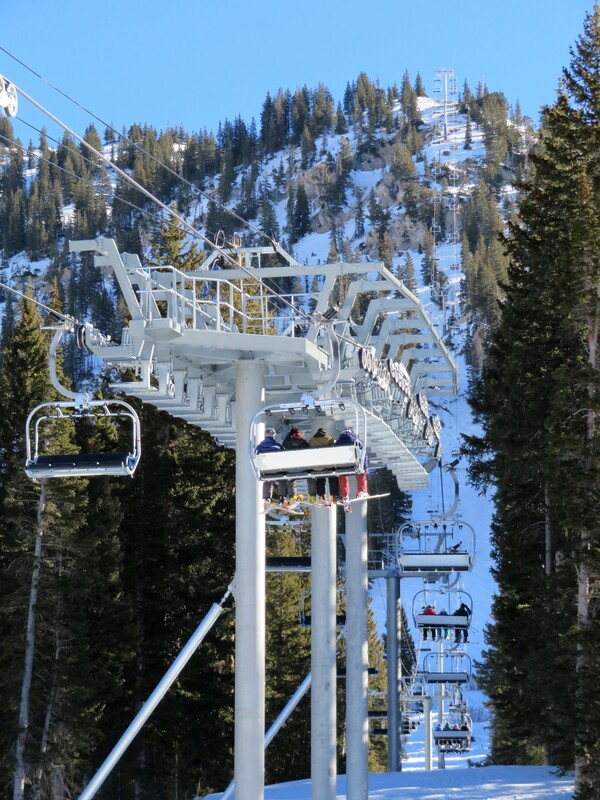 The new Supreme lift at Alta, Utah turns 8.1 degrees in a totally unique arrangement engineered by Leitner-Poma. 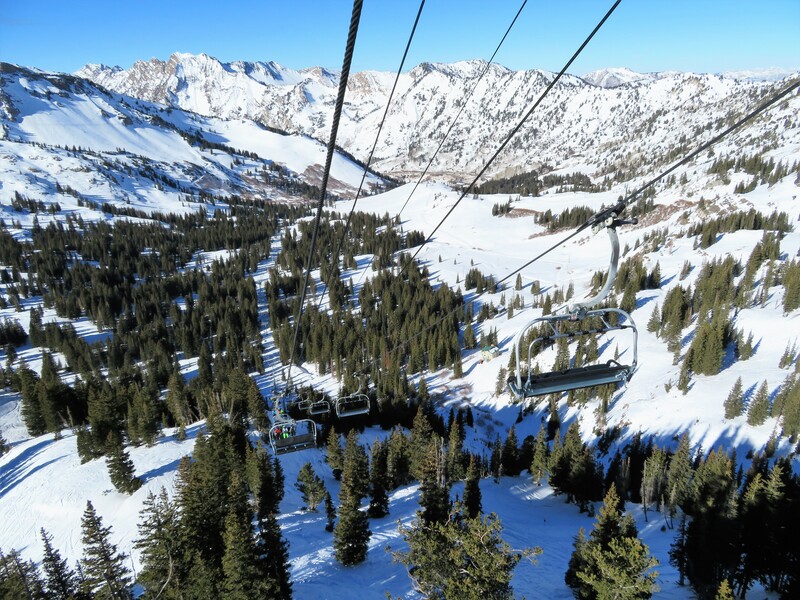 Jagged ridgelines spread in seemingly endless directions at Alta Ski Area, serviced by relatively few lifts in just the right places to make skiing there a blast. 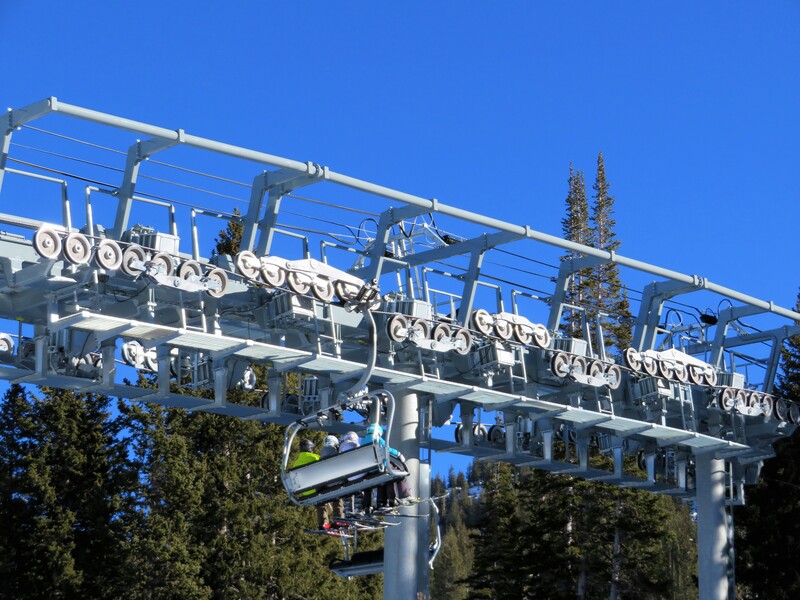 Alta has collaborated with various lift manufacturers over its 80 year history to create unique contraptions such as the Transfer Tow, a Yan rope tow mechanically more similar to a chairlift and one of the world’s only high-speed triple chairs, called Sunnyside. 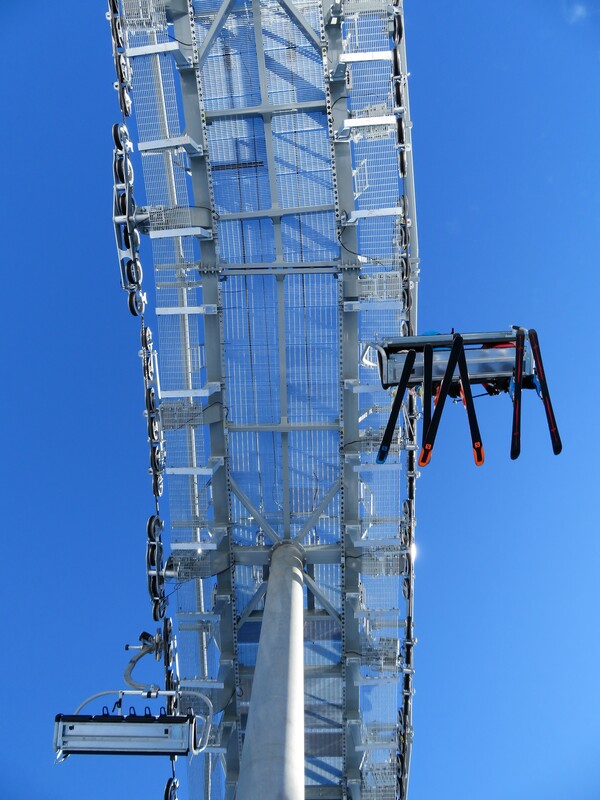 In 2004, Alta and Doppelmayr CTEC dreamed up Collins, two Stealth high-speed quads joined together at a 29-degree angle with loading but no unloading at the mid-station. 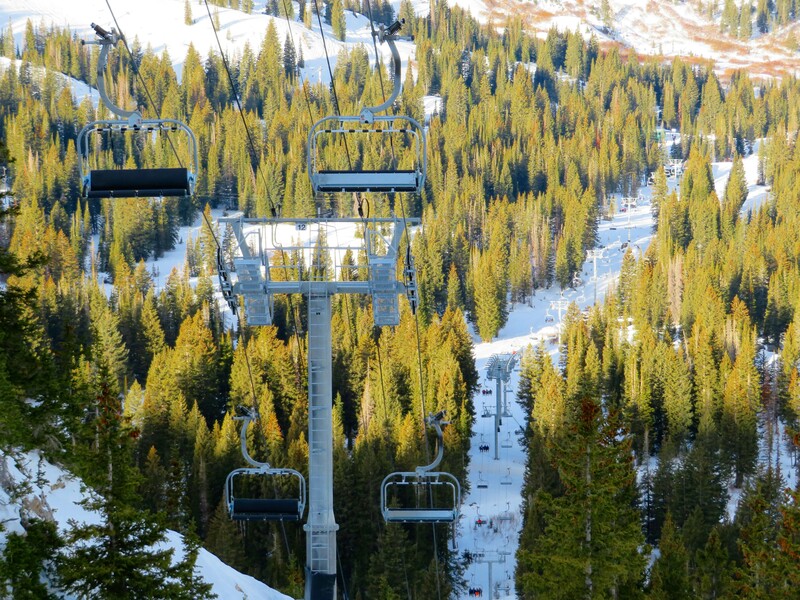 “Don’t text and bend,” a sign at the Wildcat base warns riders destined for the full trip. 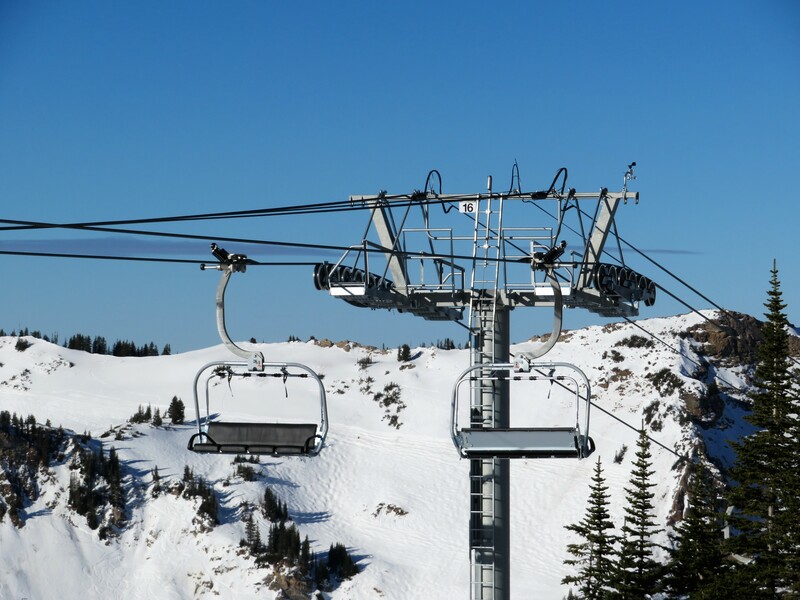 This season, the new Supreme detachable quad goes where no bend has ever gone before, replacing both the Cecret double and Supreme triple but without an angle station. 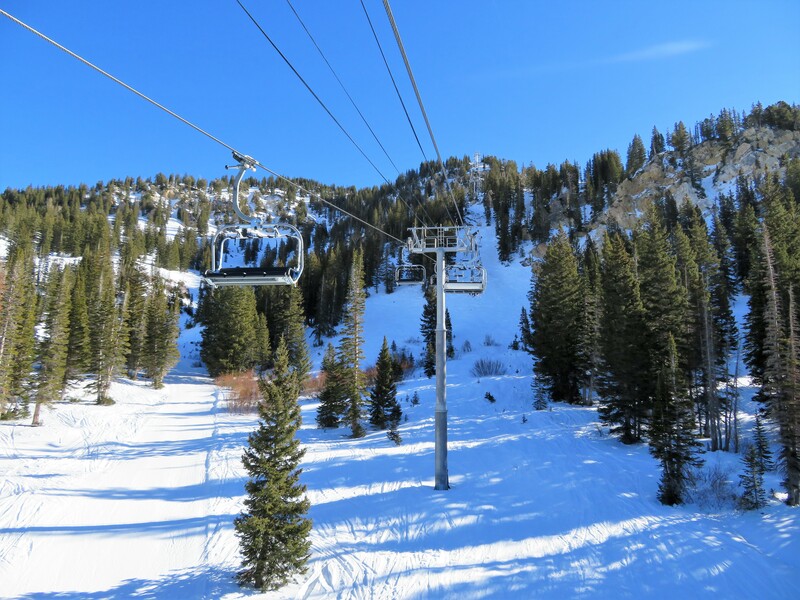 Prior to 2017, there were a handful of lifts that turn a few degrees using canted sheaves, particularly in Utah, where the mining scene created an enduring checkerboard of public and private lands. 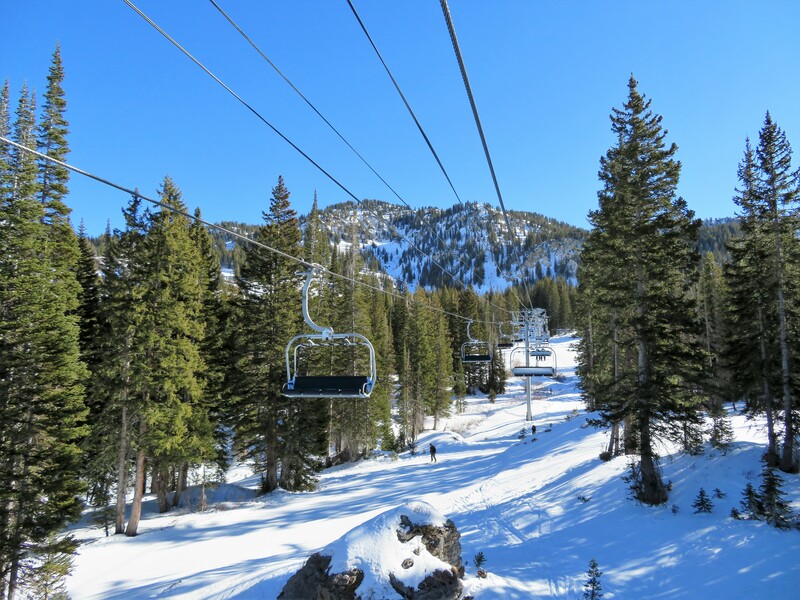 Snowbird, Park City, Deer Valley and Moonlight Basin in Montana all sport lifts that bend a few degrees for one reason or another. 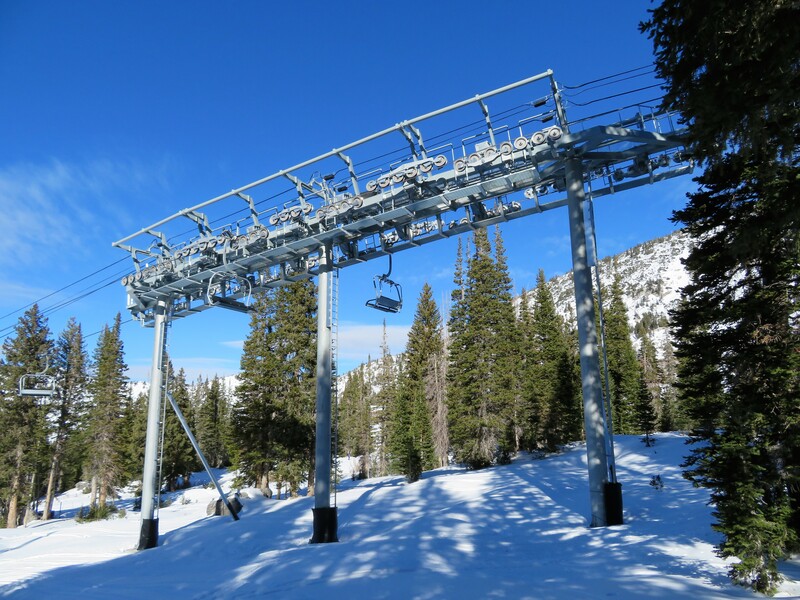 Leitner-Poma of America returned to Utah after a 20 year hiatus to build this flagship lift at one of America’s most-storied resorts. 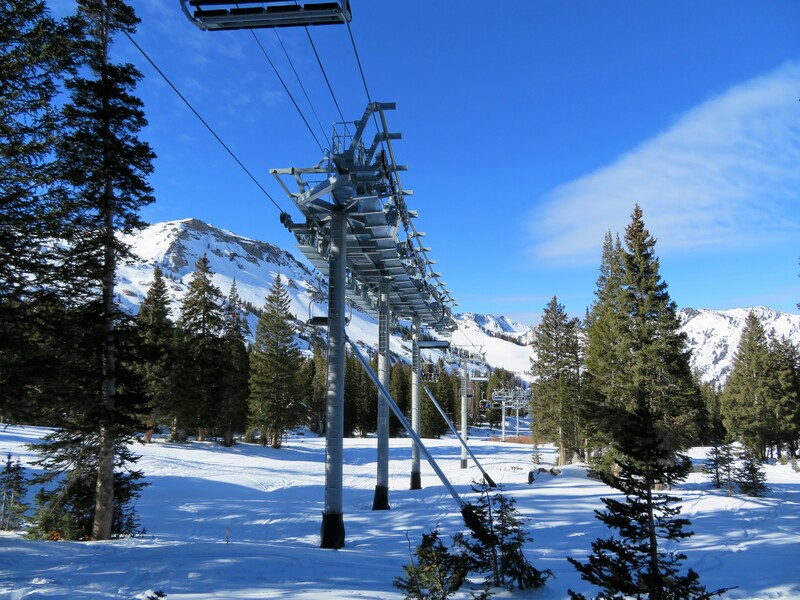 In order to utilize the former Supreme lift line and avoid wetlands, the new Supreme deflects 8.1 degrees over one giant tower with – count them – 92 sheaves. 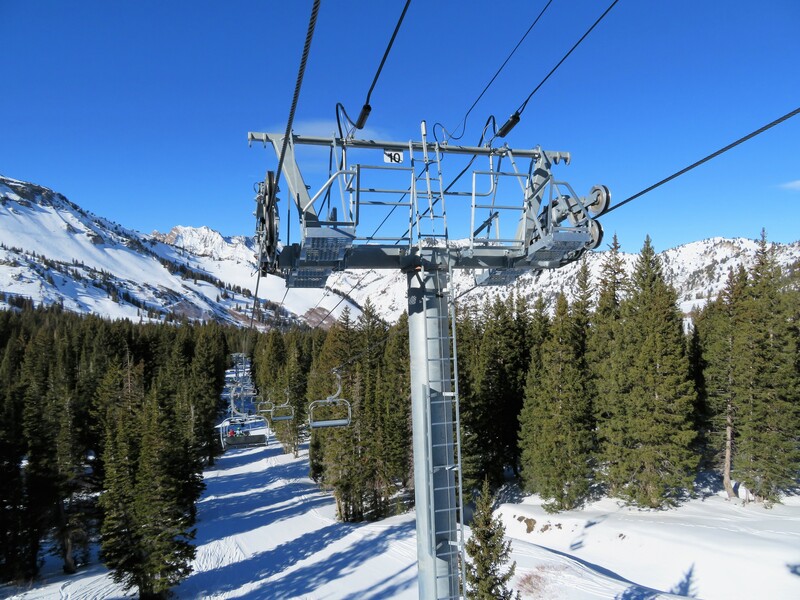 Alta initially proposed building another Collins but the approximately seven-figure cost of an angle station was significant. 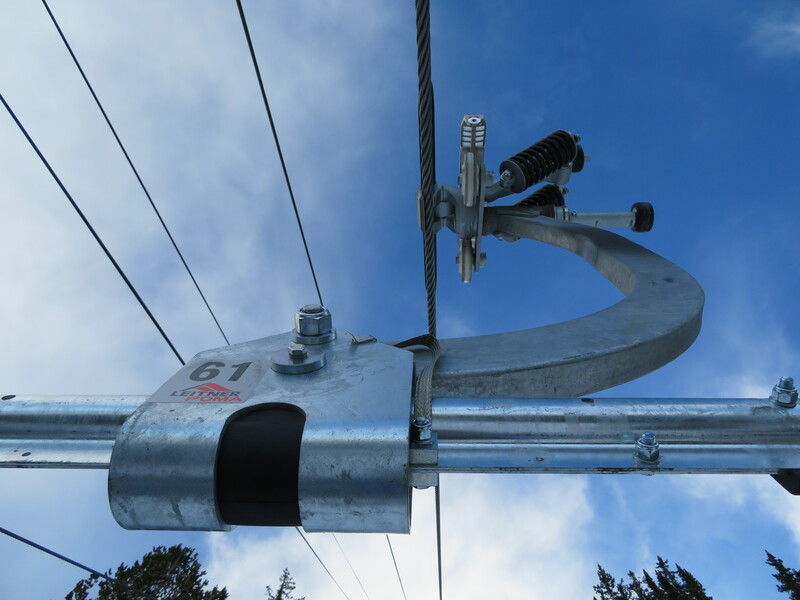 Leitner-Poma’s solution instead utilizes 16 canted sheave assemblies attached to adjustable box mounts. The don’t text and bend advice applies here too. As you pass through the series of support and depression assemblies at 1,000 feet per minute, it becomes clear something is up. But it’s way less disruptive than detaching from a haul rope, turning and reattaching at speed like on Collins. 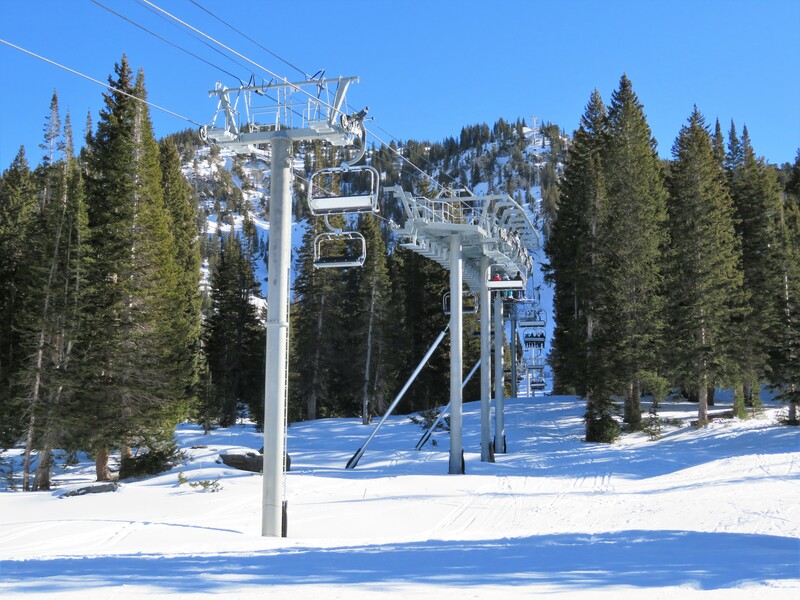 All but 600 feet of existing lift line was re-used from the previous lifts, resulting in minimal ground disturbance in this sensitive corner of the Wasatch. 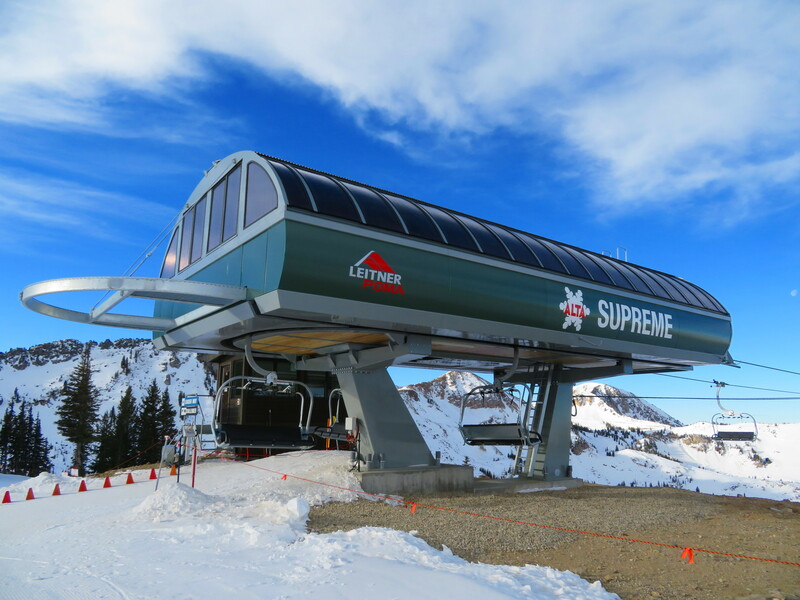 New Supreme is 5,030 feet long with a vertical of 1,200 feet that goes from mild to wild in a hurry. 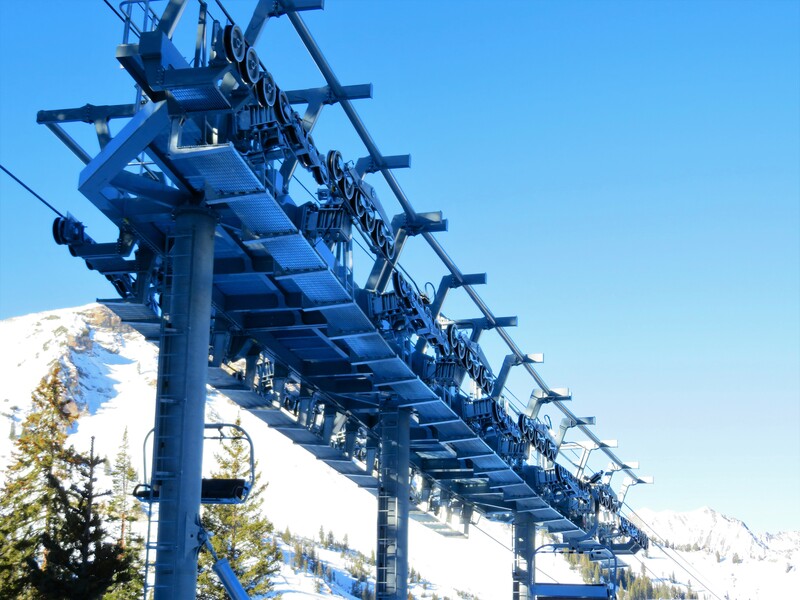 The LPA lift is bottom drive with a ride time of just under six minutes and a 2,400 skier per hour capacity, though Alta is currently loading every other chair due to snow conditions. 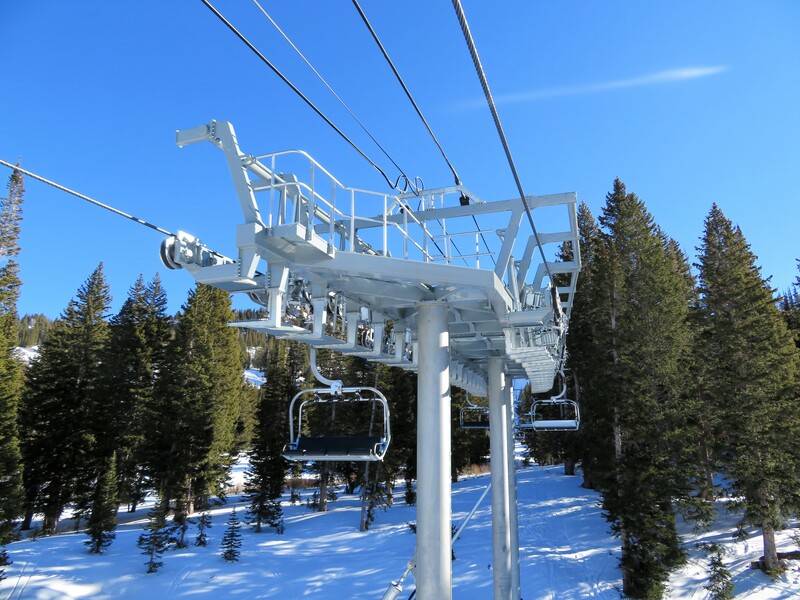 There are 109 extra-comfy Leitner chairs and 16 towers, not including the bend. 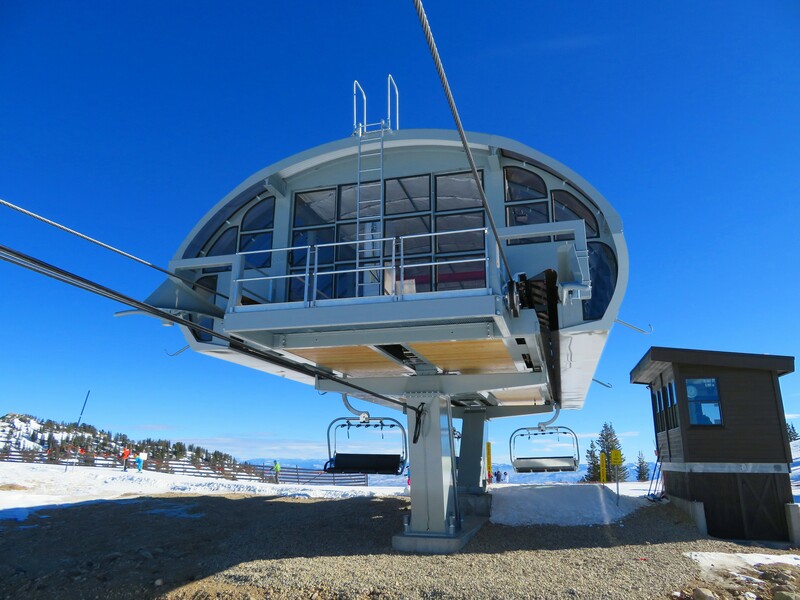 The project was completed in less than eight months despite a campground, private homes and popular hiking trails making construction a little tricky. 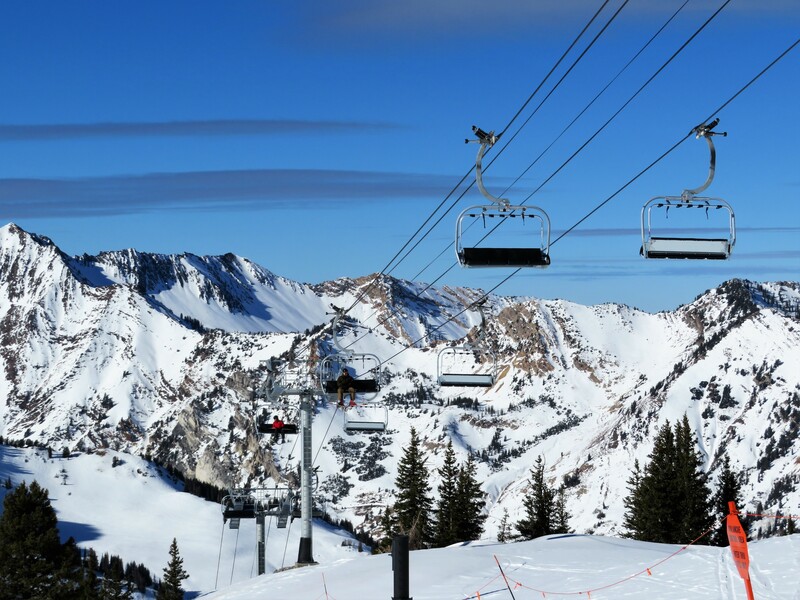 Welcome back to the Beehive State, Leitner-Poma, and I can’t wait to see what you and Alta come up with next. Fascinating! As cool as that new angle contraption is, it’s looks pretty loud. 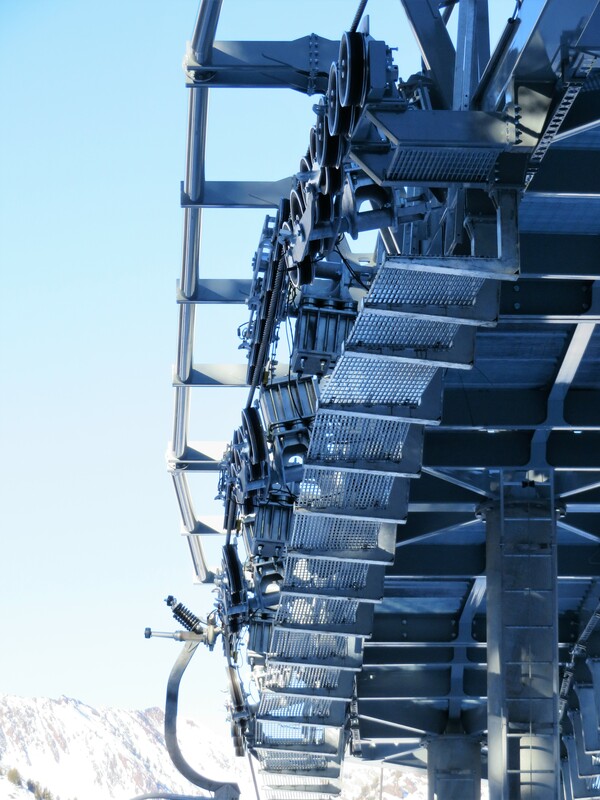 I wonder how its noise level compares to a regular angle station. Do you think that this has any limits to how much it can turn? 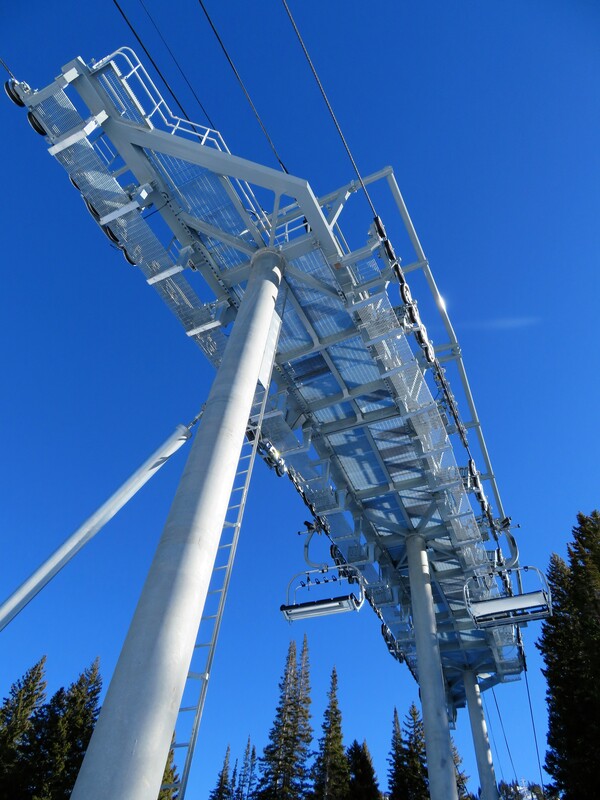 I think that there’s a lot of potential for use in lifts that have to contend with funky lines. 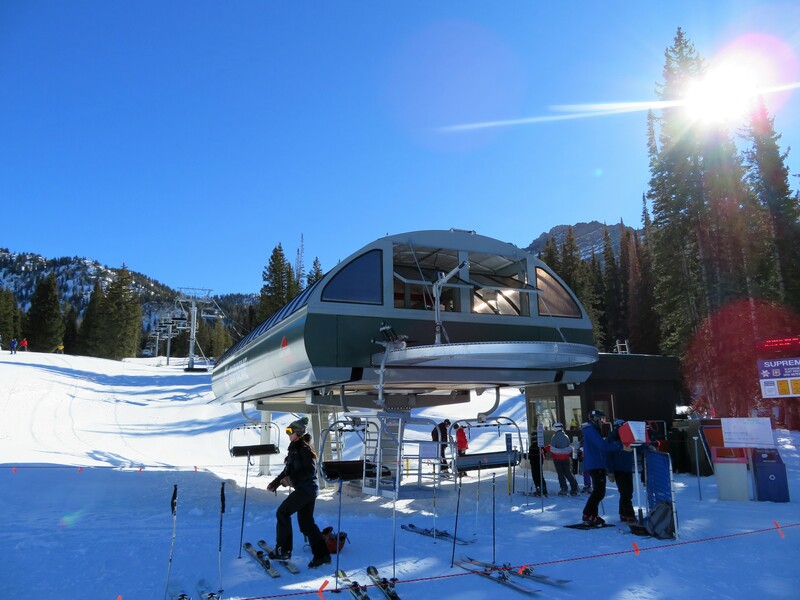 For example, it’d be cool to see Vail use this to replace the T-Bar at Breckenridge. 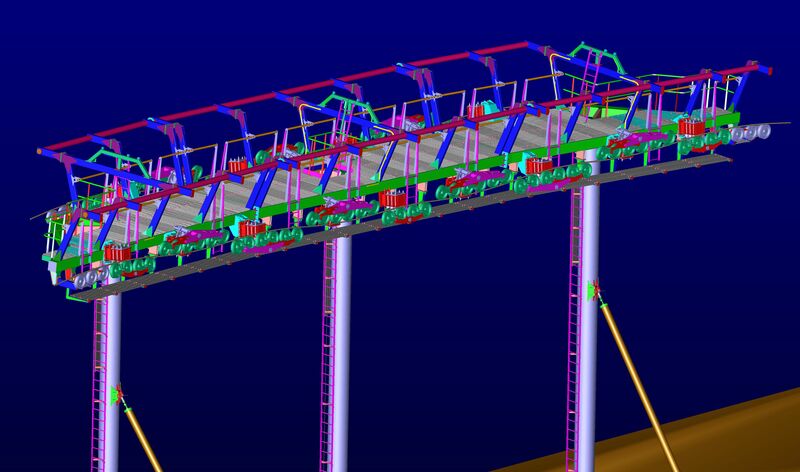 Presumably turning more would require even more sheaves and at some point an angle station would become more cost competitive. 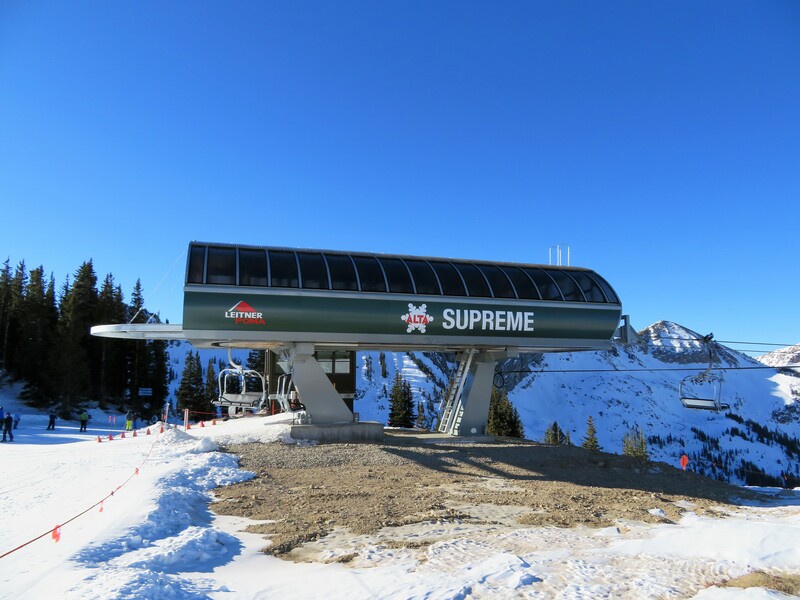 A cool thing about Supreme is the bend takes place at an uphill angle whereas an angle station must be completely level, usually requiring a ton of earth work. No question this opens up possibilities for other mountains. 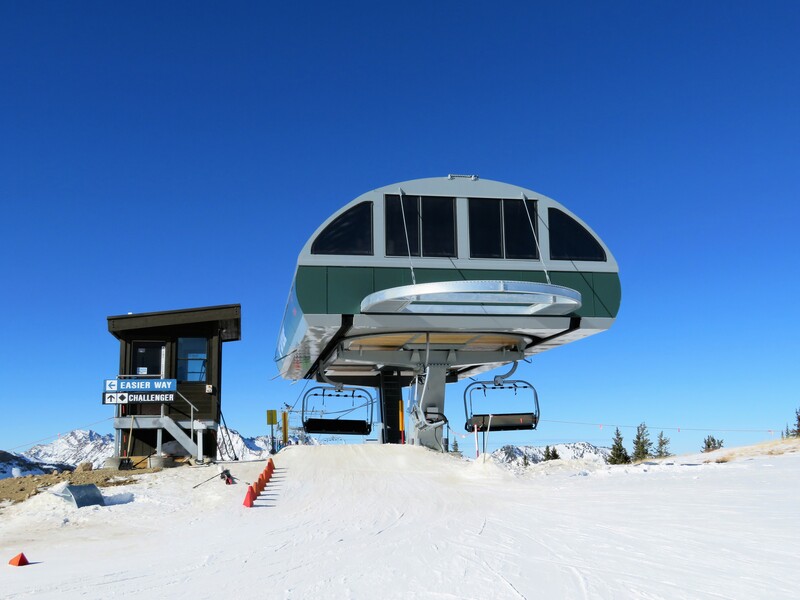 I don’t think a new lift there would require an angle station. 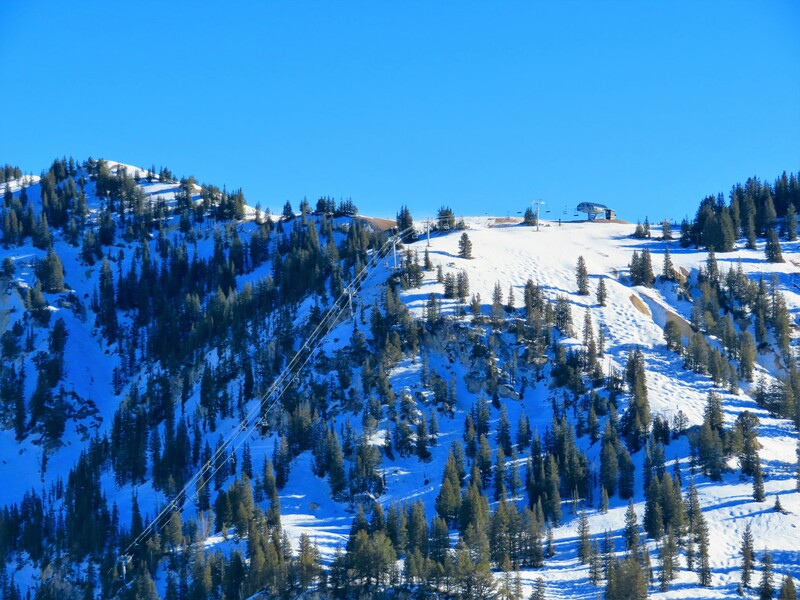 I think the reason it is there is simply because it is a T-Bar and needs to drag the skiers along the ridge rather than up it at an angle. 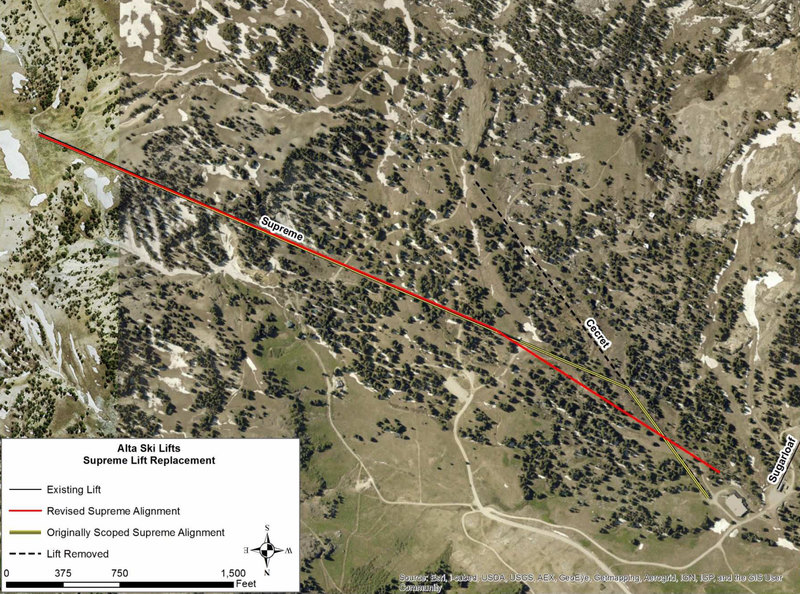 If it was a quad or something, you could simply take the return path the T-Bar takes currently. 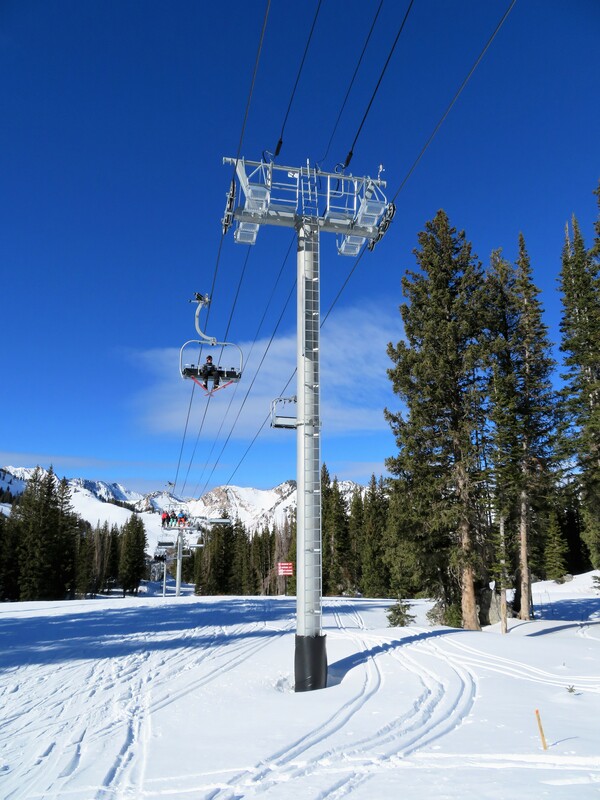 I think one benefit the T-Bar has over a conventional chairlift though, is that it is much easier to access the terrain halfway up, as you can simply let go rather than riding to the top. 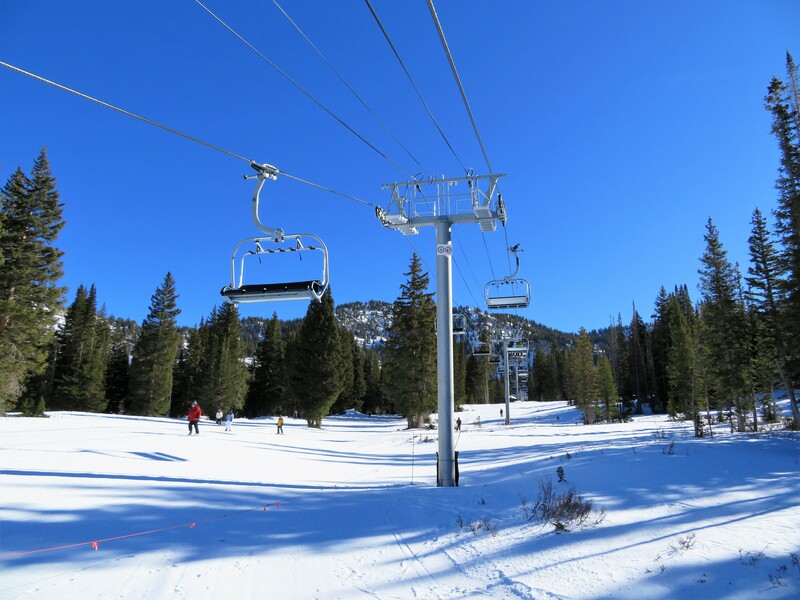 What’s up the snow conditions? You said they are loading every other chair? I’m guessing it’s because of how crappy the snow conditions are right now. 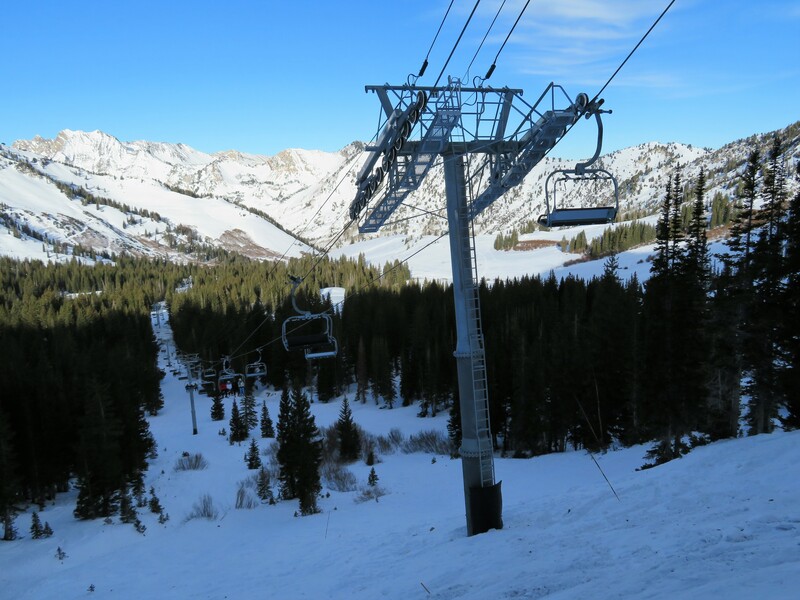 Utah and Colorado have very very poor snow fall thus far this year. Wow! 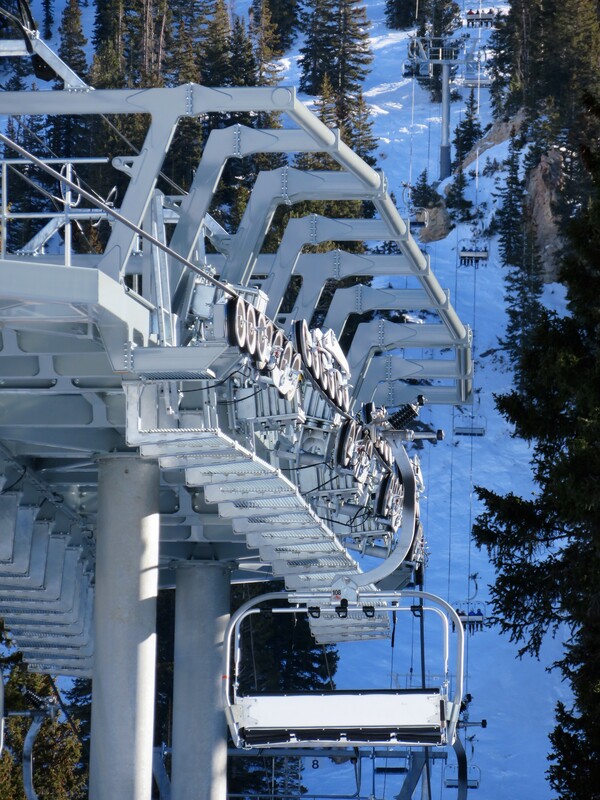 The engineering on that bend looks pretty impressive, sure looks like one impressive lift. Thanks for the great pictures! 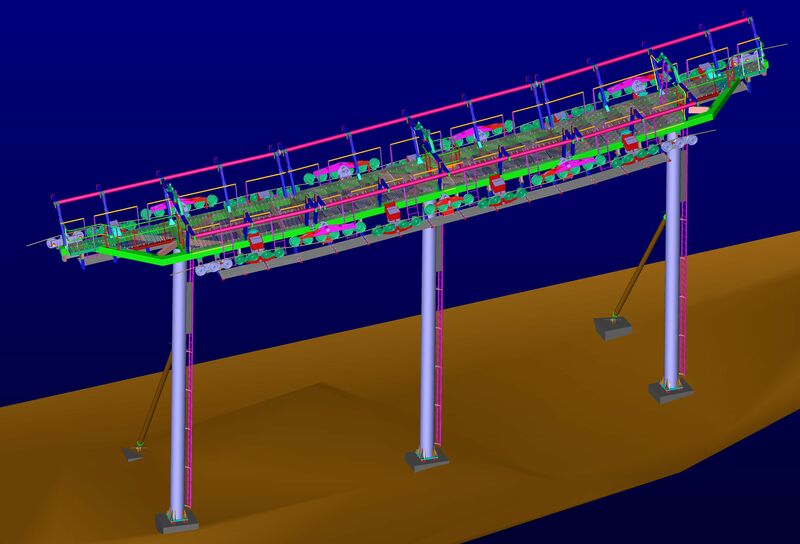 Does anyone know if a bend like this has been built before? Or is this a first? It is the only one I’ve ever seen that takes chair around an inside bend. 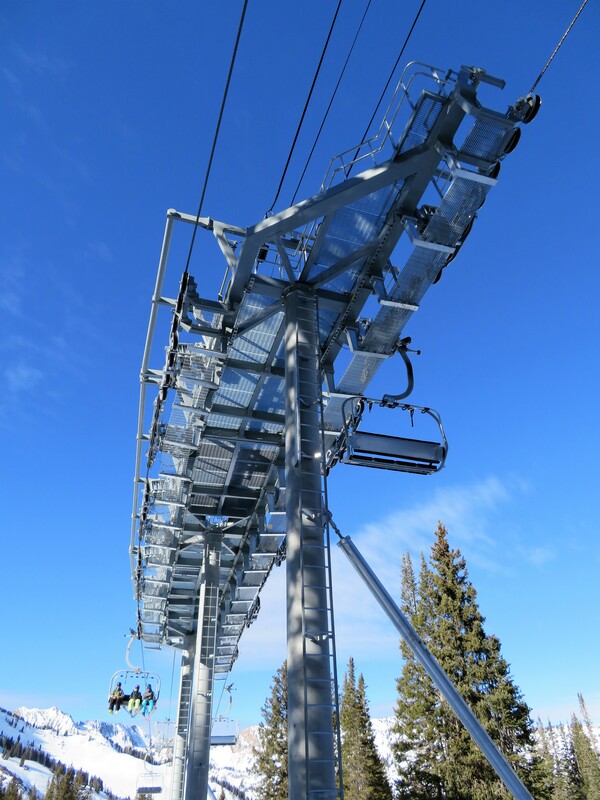 The one exception being that Squaw Valley used to have a pulsed gondola that bent both directions, but it was a jig back, so the grips on one side were reversed, so that the turn was basically 2 outside bends. 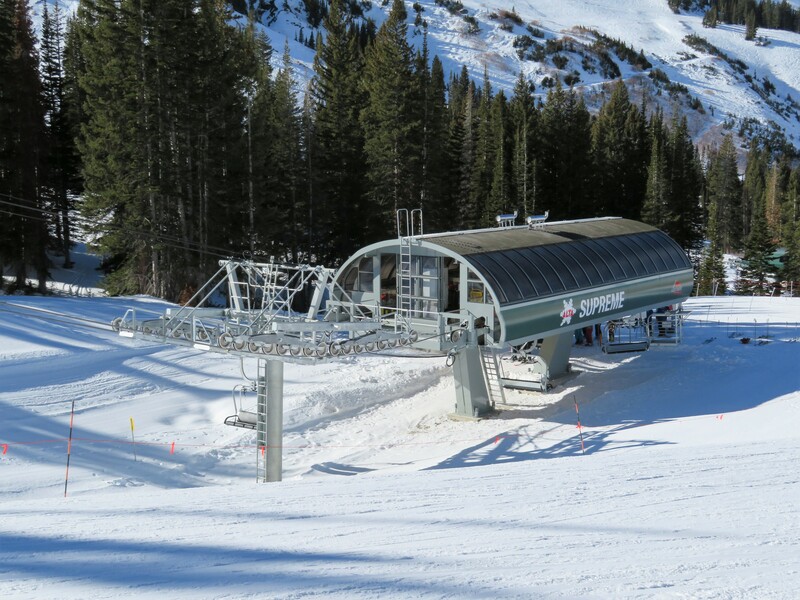 Breckenridge has a large bend in a double chair, but the downhill chairs go around 2 additional bullwheels, rather than going back through the bend. The double bullwheel thing is pretty common outside of North America. 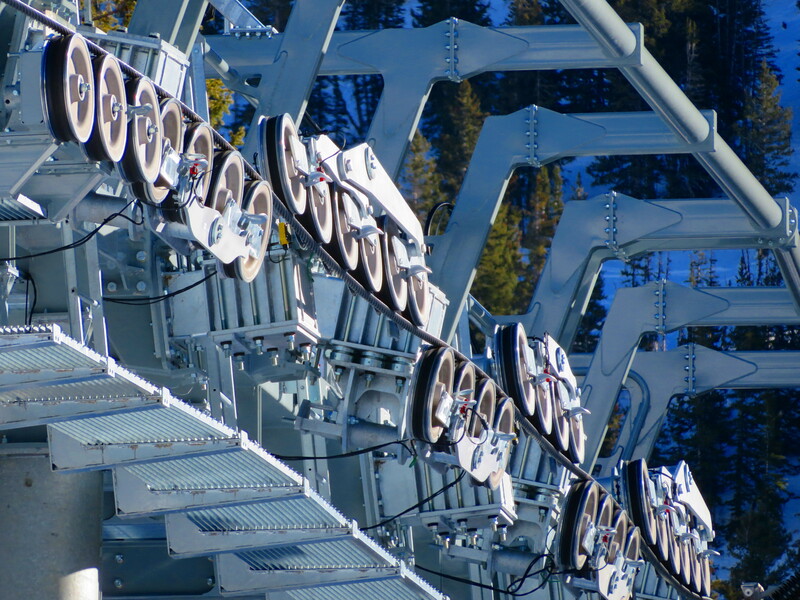 I think what distinguishes this from both a double bullwheel setup and Squaw’s pulse setup is that that canted sheaves are used for the turn instead of a second set of horizontal sheaves. 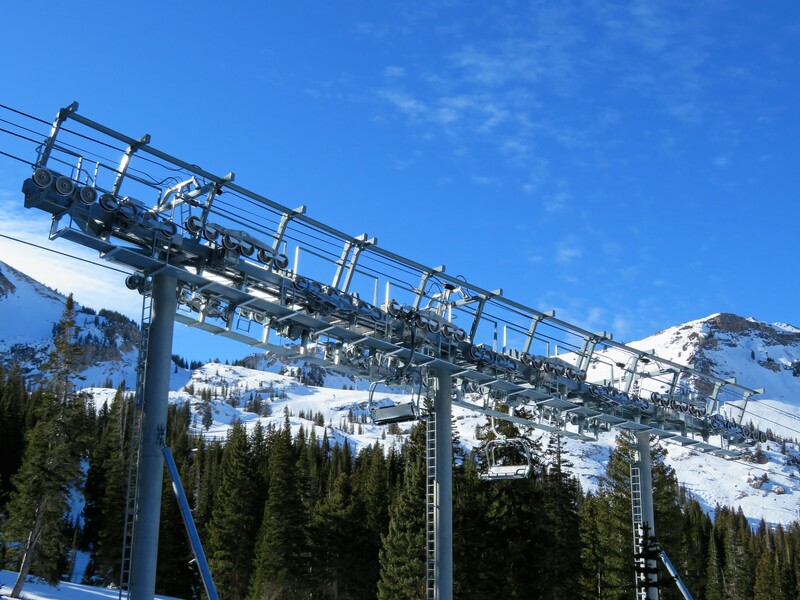 Bends have been done on towers before but using a larger curves done over three or more regularly spaced towers, see sixshooter at moonlight and Baldy at snowbird for examples. Supreme is unique in that a fairly big angle change is accomplished in a very short distance. Not sure if you were responding to me, but I was referring specifically to Supreme’s setup. I’m wondering if this has been done in the European market, or if this is a world’s first. 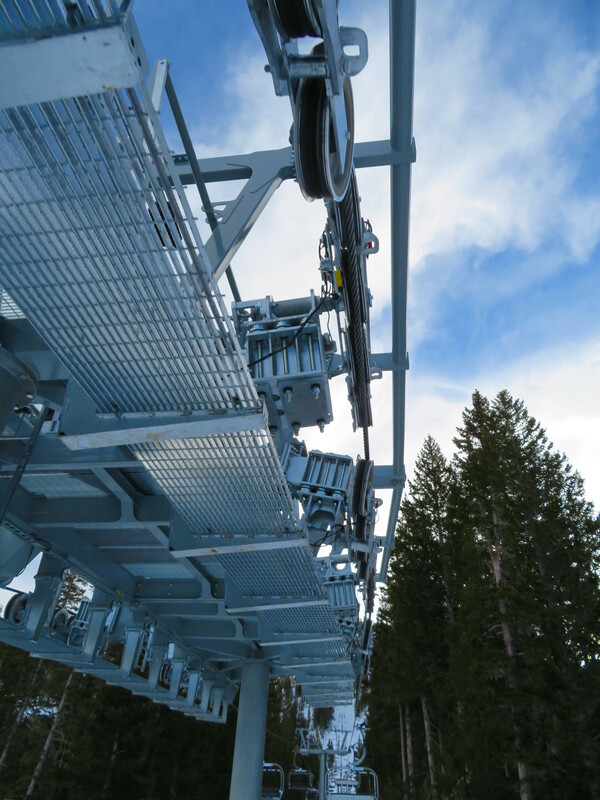 The Penkenbahn 3S in Mayrhoffen has a 6 degree curve. It’s pretty wild.